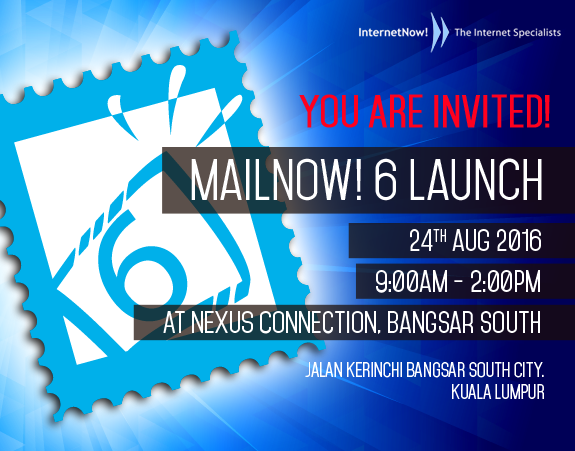 InternetNow Teknologi Sdn Bhd » MailNow! 6 is Here! Join us Now! MailNow! 6 is Here! Join us Now! Presenting the next evolution of our email solution – MailNow! 6. More polished than ever, with exciting new features and powered by advanced email technologies. 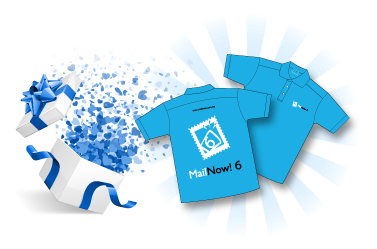 MailNow! 6, build your business on it. So click on the link here or the button below to start register! Book your place with your account manager or Whatsapp to 016-2622 321. Register before Friday, 19th of August to get an exclusive MailNow! 6 Polo shirt. Lucky Draw Prizes and Door Gifts await you!